Powers: Guardian Prime is the fifth element, one of the five elements essential for life to exist on earth (earth, water, air, fire and man). He is the perfect man created how God intended man to be (in his image). He can do everything a normal human can only magnified to almost god like levels, he has invulnerability, super strength, flight, speed, enhanced senses, the ability to intensify his body heat and create fire and the ability to temporarily pass his invulnerability to any object he comes in contact with. A Guardian is born to the human race every 2000 years; some live their lives without ever knowing. 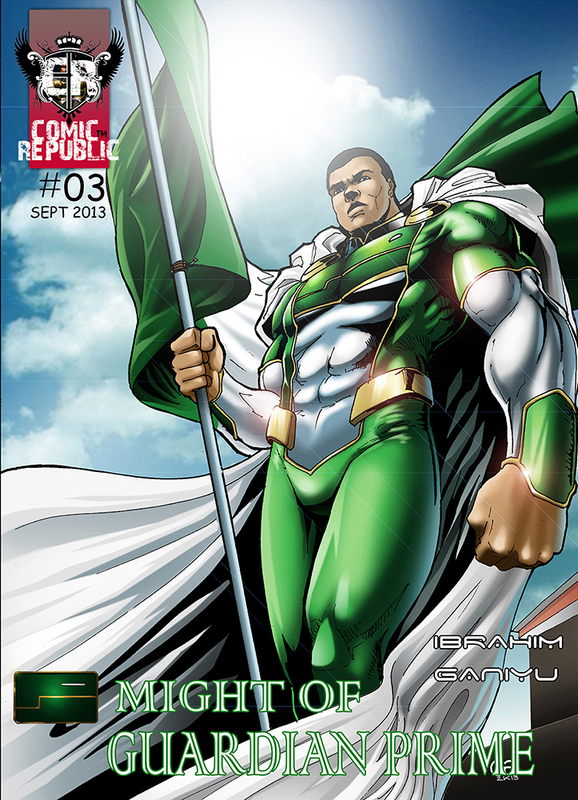 Gaya (Mother Nature) awakens the Guardian in the host when the need arises and this time the guardian is a Nigerian (Tunde Jaiye). Tunde Jaiye , a 25 year old fashion designer by day and a super hero whenever the need arises lives in Victoria Garden Lekki in Eko City. The son of Chief Biodun Jaiye, a politician and Mrs. Evelyn Jaiye, a business woman; Tunde, brought up mostly by his mom has lived a sheltered and pampered life and as a result has his perception of what he believes a better Nigeria should be.